I was born in Italy and while I was still a young boy my family moved to Sydney, Australia. I was an over-weight child for most of my pre-teen life. While struggling to change myself I developed Anorexia Nervosa and Bulimia Nervosa at the age of only 11. However, I managed to turn this severe disorder around by the age of 12. I began following a far more sensible nutrition and exercise program, developed mainly from my own observations and experimentation. I began bodybuilding after first seeing Arnold Schwarzenegger, my lifelong inspiration, on a magazine cover. My amateur career started at home - simply lifting bricks tied to each end of a broomstick handle. By 1976, I had developed a very impressive physique, mainly through my calisthenics training. I employed very little actual weight training in a gym. In that year I also entered my first bodybuilding competition, the Teen Mr. New South Wales, which I won. My success in the teen competition, and the caliber of my physique, saw people encourage me to enter the overall Mr. New South Wales competition, which was being held later that day. I won that category as well, becoming the youngest person ever to do so (which has yet to be equalled or bettered). 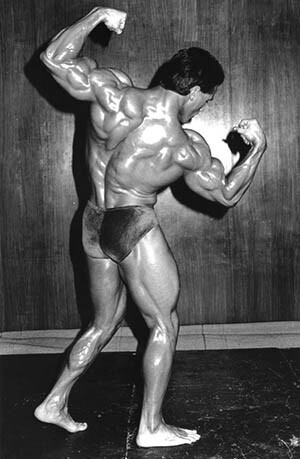 I began competing in other Australian contests which culminated in me winning the best in Australia in 1980 at the Sydney Opera House - on the same stage as my inspiration Arnold Schwarzenegger, who won the 1980 Mr Olympia that night. In 1982, I won the Mr. Australasia title and the 1982 Amateur Mr. Universe title. In 1983, following my Mr. Universe win I decided to turn professional. I placed fifth in the 1983 New York Night of Champions. Quite an achievement for a relatively unknown bodybuilder competing in a contest of that calibre. I then placed second to Lee Haney in the 1983 Caesar’s Palace Pro World Cup, losing by only one point. The audience attending the event expressed the consensus that I had won. In 1985, I moved to the United States. In 1986 at the 1986 Professional World Bodybuilding Championships (now dubbed The Arnold Schwarzenegger Classic) I qualified for Mr Olympia. I also achieved the finals in the 1986 Mr Olympia competition. Thereafter, I shifted my focus to experimentation with a variety of dieting, nutrition and training protocols. I worked with a team of medical practitioners at the St Luke’s Roosevelt Woman’s Hospital Obesity Centre in New York to study the effects of food on body composition and body fat levels, as well as ways to accurately measure body fat. I developed a keen sense of the way you should eat to maintain body fat levels and body composition. I returned to Australia in 1989 and kept working in this field and as a personal trainer until I opened gymnasiums in the Sydney Area in 1992. In Australia, I am now seen as a leading expert in gender specific biochemical effects on the endocrine and adrenal systems when dieting. 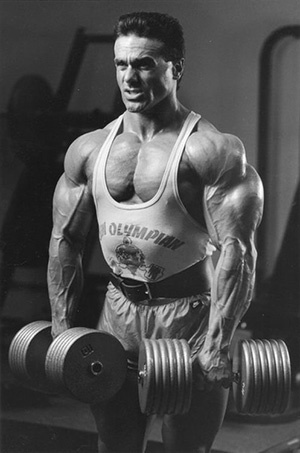 I continued to compete in professional bodybuilding contests and in 1993 I placed second in the Professional Mr. Universe. 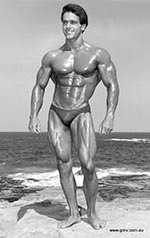 In 1994 I became the only Australian male to win the Professional Mr. Universe Title. I retired from participation in bodybuilding competitions in the same year. My passion for the media, and in particular film making, has led to numerous small roles in feature films, short films and television commercials. I have also been the cover model for numerous health and fitness publications internationally throughout my career. © 2010 - 2019 Terilli Nutrition Pty Ltd.